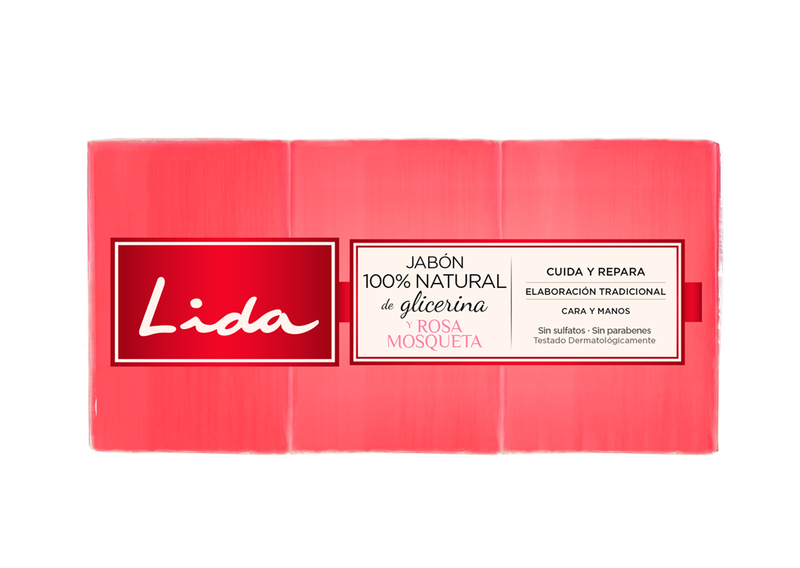 Lida 100% natural glycerine soap with wild rose is traditionally made, using ingredients from natural origin that cares for and repairs the skin. Wild rose repairs and glycerine naturally replaces loss moisturisation from the skin. Its sulphate- and paraben-free formula is dermatologically tested.